This a a perfect short novel: it grabs you by the throat and carries you along in a violent fashion towards the shocking conclusion. 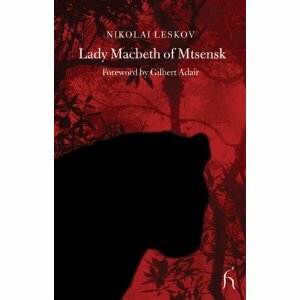 Even 150 years later this novel is still incredibly powerful and, apparently, Leskov scared even himself when writing it. Morality, love, murder and meaning are all analysed and one of the real strengths is that you are left with so many questions at the conclusion. Who is the most culpable? Sergei or Katerina herself? Was the boredom of bourgeois respectability instrumental in creating these monstrous acts? They follow the familiar motif of adherence to passion or supposed ‘true love’ – but what if this becomes subjugation and requires terrible actions? An incredibly interesting and moving novel. Leskov, it seems, was an outsider – not accepted by the conservatives or the radicals – maybe because of his equivocal nature, which can be seen in the unresolved questioning in this book. Absolutely an intense and thought provoking read. As a reader, you come out the other side very affected and it is as though the world is silent in the last few lines as everyone holds their breath, and then it finishes suddenly. This collection was an absolute pleasure; I was really struck by the strength of ideas throughout. 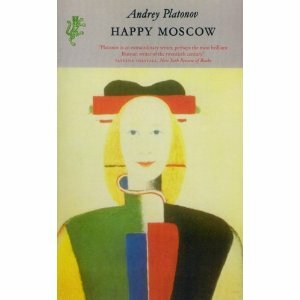 How could one country, Russia, have produced so many fantastic writers that are unique but seem to share similar preoccupations? Perhaps that is testament to Robert Chandler’s editing (as well as his translation of most of the stories). 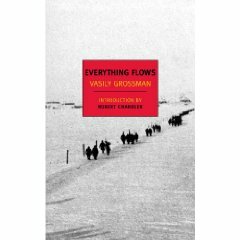 There are a few omissions (Victor Serge, Venedikt Erofeev, Vassily Grossman and the ‘Russian Decadents‘) but maybe those writers and stories wouldn’t have worked within the overall collection. I really am filled with awe at the achievement of these writers both individually and collectively. Many of these stories I had read before but it was good to revisit them sometimes in a more modern, considered translation. However, there were several writers I had not been aware of previously, and this collection is excellent as a taster for future reading. It is impossible to canvas all the stories as they deserve. However, writers who sparked my interest were Bunin (who I had never heard of), Buida, Dovlatov, Shuksin and Zinovyeva-Annibal (who was related to Pushkin). There were others too, but I will begin with Bunin as the two stories ‘In Paris’ and ‘The Gentleman From San Fransisco’ left a strong impression on me. 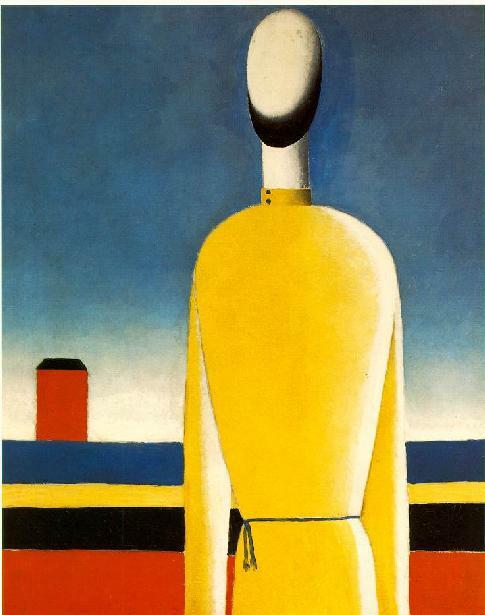 Buida too – his ‘Prussian Bride’ novel was published by Dedalus a few years ago. What else should I say? This is a great starting point for Russian literature, and even if you have read a moderate amount there are still discoveries here. Soundtrack: Flying Nun Records – In Love With These Times/Pink Flying Saucers Over The Southern Alps. There was just one thing – if he began a story before supper no one ever felt hungry and he didn’t get anything to eat. He had to always ask for a bowl of soup first. It was better like that. After all, you can’t just live on stories without any food. The folk-tales are amazingly surreal, creative and amusing. It is impossible to predict what is going to happen and really highlights that something has been lost in the modern popular stories on TV, in movies or pulp fiction. Soundtrack: The Byrds – Eight Miles High. A very good ‘brief’ summary of Pushkin’s life and work, which coming in at 150 pages is not so brief really. It gives quite a detailed account of the major milestones of his life and excellent critical analysis of some of his work. It also manages to link the two (life and work) in a natural way and give some complex opinions on his themes. Definitely more than what you would expect from a brief work. 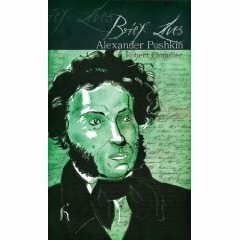 After reading I want to read more Pushkin and also read some analysis of his work as well. Nabokov did some work in this area and I think it would be quite interesting to hear what he had to say. This has effectively given me some context within which to place the works I have read recently. You can only guess as to what would have happened to Pushkin if he hadn’t been killed in the duel. His debts were spiralling out of control and it may be that if he didn’t die in this duel he may have died in another. But it’s all conjecture, Robert Chandler who wrote this biography puts across some convincing evidence that he didn’t have a death wish. However, when a person is under pressure they may take risks or act in erratic manner so,while he may not have wanted to die, if his situation didn’t improve it’s very possible something else would have occurred. At the book’s conclusion you are left with the consciousness of Pushkin’s utter genius and sadness that it was not fully expressed. This, in the same way as Blok or Mayakovsky.